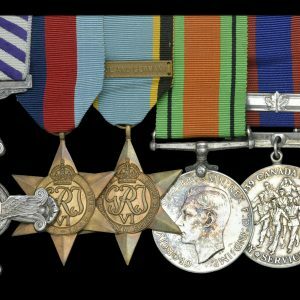 Home » What's New » The WWI/WWII grouping to Lieut-Col. John Hyde Bennett, who went overseas with the 4th Bn CEF, served in France, Belgium, England and Siberia. Wounded/gassed 2nd Battle of Ypres. Major with the 12th York Rangers. Later-Military Archivist for Ontario. John Hyde Bennett was born in Northern Ireland and served with the Royal Jersey Light Infantry, before emigrating to Canada in 1909. 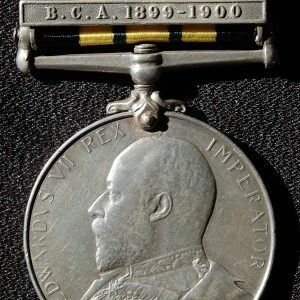 He was appointed Lieutenant in the 12th York Rangers on the 11th September, 1913. 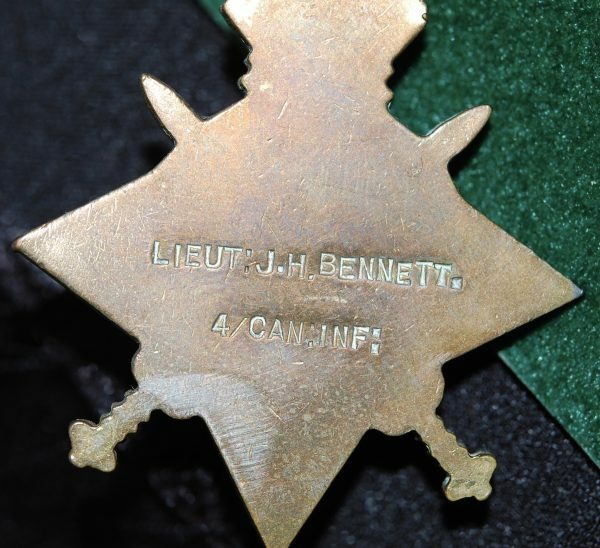 Taken on strength, as a Lieutenant with the 4th Bn, CEF, on February 5, 1915, Bennett served in France and Belgium with the “Mad Fourth” from February 15th, 1915 until April 27, 1915. 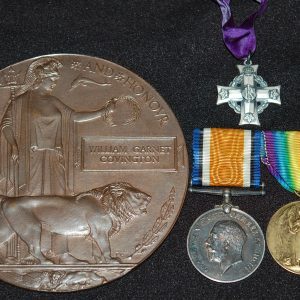 He was badly gassed and seriously wounded leading a counter attack on a hill at Weiltje and St. Jean on April 23, 1915, following the gas attack at Ypres on April 22, 1915. He was evacuated and recovered, only to serve again in France and Belgium from September 16, 1915 until October 21, 1915. 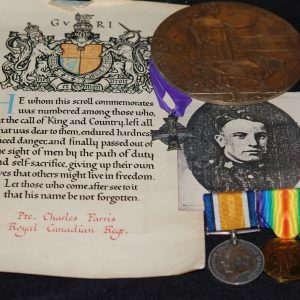 He was promoted to A/Major on 1st April, 1916 and returned to Canada. Major J.H. Bennett, 1st Depot Bn, 1st C.O.R. also served with the 259th Battalion in Siberia. He is listed in Skuce’s book page 58, as having sailed to Vladivostock, as a Captain aboard SS Protesliaus from Victoria on 26/12/18. He returned from Siberia May 29, 1919. 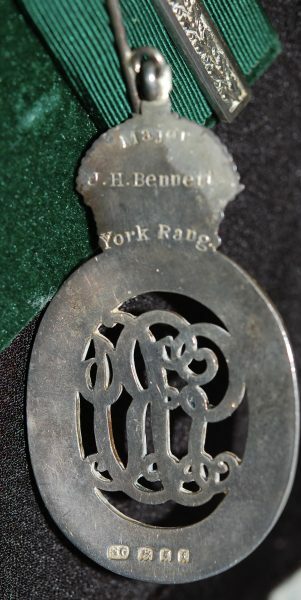 Bennett was appointed a Major with the York Rangers on 7 January, 1922. Appointed Lieut-Colonel of the regiment on 1 January, 1934. He later became a Military Archivist for Ontario, with the Canadian Military Institute. He died in 1949, while on holiday with his wife on holiday in Albany, New York. Victory medal tarnished, rim bruise to BWM, otherwise very fine or better.